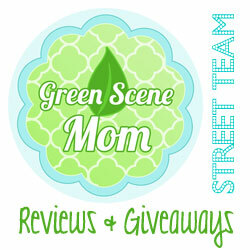 Vote for MAM in the What to Expect Mom Must-Have Awards and win a prepaid card! 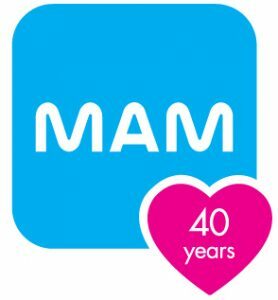 MAM is a What to Expect Mom Must-Have Finalist in the Baby Soother and Best Baby Bottle categories! 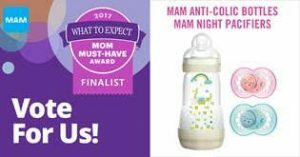 Head to https://www.whattoexpect.com/awardsand vote for any product in either or both categories and submit a photo of your vote confirmation(s) to mamusamarketing@mambaby.com. Voters who vote in both categories are eligible to win one of six $50 prepaid cards while voters who vote in one are eligible to win one of three $50 prepaid cards. What to Expect voting closes October 25th. Pic’s Really Good Peanut Butter is a must this Fall! 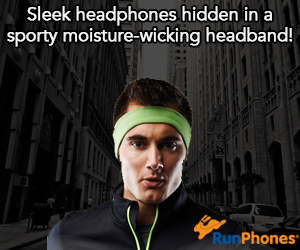 Great for this Back-to-School Season! Looking for a really good Peanut Butter that is tasty and healthier than other Peanut Butters? Introducing Pic’s Really Good Peanut Butter! 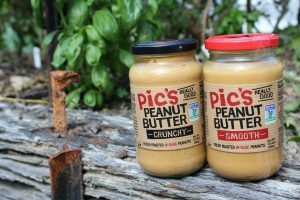 Founded in 2007 by Pic Picot, New Zealand-based Pic’s Peanut Butter is New Zealand’s #1 selling peanut butter and is peanut butter worth eating. Made from the finest quality Hi-Oleic peanuts from Australia that are fresh roasted and lovingly squashed in Nelson, Pic’s then quick seals its peanut butter to preserve freshness and flavour. Pic’s is all-natural, is gluten and sugar free and has no additives – simply peanuts and a trace of Kiwi salt, the unsalted version containing 100% peanuts. Pic’s Peanut Butter is NON GMO Verified . Four varieties are offered – Original (Crunchy), Original (Crunchy, no salt), Smooth and Smooth (no salt). Suggested retail is $7.99-$8.99 (380g, 13.4 oz. jar). A 1Kg, 35.27 oz. sized jar is also available in Original Crunchy at a recommended retail of $19.99. It’s really quite good and was a big hit in our house! I really like the Original Smooth! 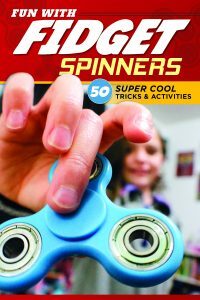 Also available online at Amazon.com and Zimmermans.com. You can also find in select So. Cal Pavilions and Von’s locations. For more information on Pic’s Peanut Butter visit http://picspeanutbutter.com/. 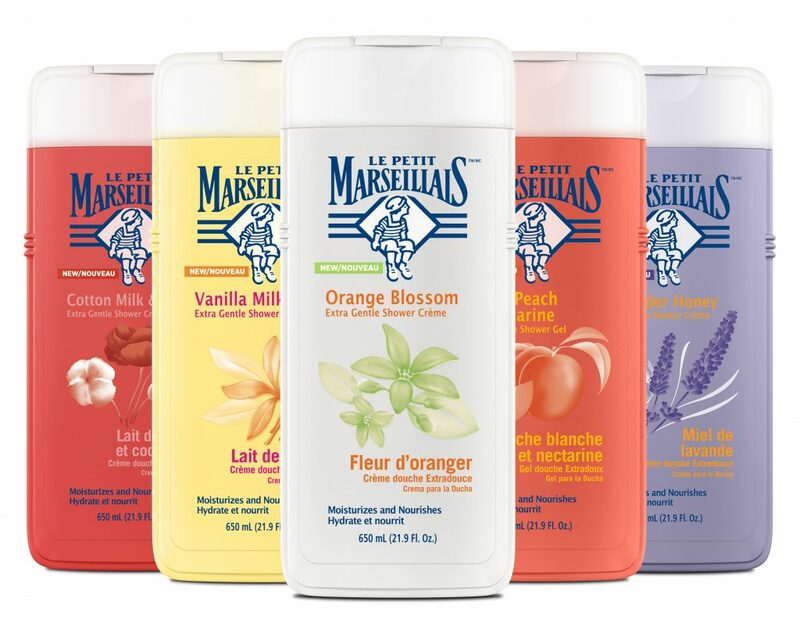 Le Petit Marseillais Body Wash is a Beauty Must this Fall! Looking for a body wash that leaves your skin really soft? Le Petit Marseillais Body Wash is a new favorite of mine! They not only clean but leave my skin really soft and I love the different fragrances. I love how my skin does not feel dried out and I don’t even have to use an extra skin moisturizer! My favorite is the lavender honey one! It really smells good! I also like that they are affordable! You can find at Amazon.com, Walgreens, Target and Walmart! Look for them this Fall! Self Disclosure: I received free samples to facilitate this post. An image was provided. From China to Scotland — One Tiny Dog’s International Story of Finding Her Fur-ever Home October is National Adopt a Shelter Dog Month! In June 2016, Dion Leonard had one thing in mind — trying to win the grueling 250km Gobi Desert Run. What he didn’t expect was to have a small stray dog join him for over 70km of the race. 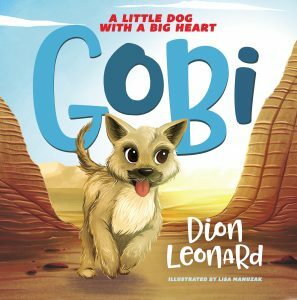 Appropriately naming her “Gobi,” Dion knew he needed to make this unlikely running companion a permanent member of his family back home in Scotland. Working to coordinate her adoption would turn into a worldwide, against-all-odds search to see them reunited after Gobi and Dion became separated in a city of more than three million people just days before she was set to head home. Parents and young readers can share in experiencing this powerful true story of friendship, compassion, courage, and love with the release of Gobi: A Little Dog With a Big Heart [picture book, 4-8 years] and Finding Gobi: The True Story of One Little Dog’s Big Journey [Young Reader’s Edition, 8-12 years] with Thomas Nelson. I found both books inspiring! I really enjoy the Young Reader’s Edition and think that every child who likes dogs should read it! They will fall in love with Gobi! ~SoCal City Kids. Follow Dion and Gobi on Facebook, Twitter, Instagram, YouTube, and at www.findinggobi.com. Dion Leonard is a 41-year-old Australian who lives in Edinburgh, Scotland with his wife Lucja. Dion has not only completed but competed in some of the world’s toughest ultra marathons across the planet’s most inhospitable landscapes. This includes running across the brutal Moroccan Sahara desert twice in the 250km Marathon Des Sables and also twice across South Africa’s Kalahari Desert, also 250km. Dion’s latest 250km race across the Gobi Desert in China turned out to be a completely different race, where he fell in love with a stray dog (later named Gobi) that followed him during the week and who would change both of their lives forever. 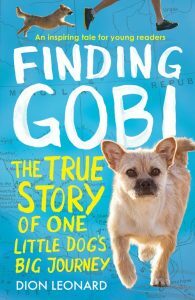 Learn more at www.findinggobi.com. Follow Dion and Gobi on Facebook, Twitter, Instagram, YouTube, and at www.findinggobi.com. Self Disclosure: I received free copies of the above books to facilitate this featured book post. 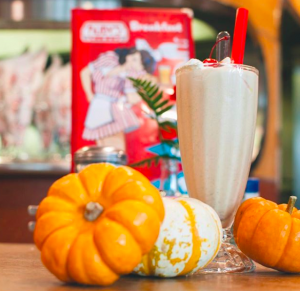 Fall is here and Ruby’s Diner is kicking off the season with a menu full of pumpkin-inspired treats. Start the morning with fluffy Pumpkin Hot Cakes or hot-off-the-griddle Pumpkin Waffles! Sounds delicious! I actually had the chance to try the Pumpkin Waffles and they are quite delicious! Curb a sweet craving with a rich Pumpkin Shake. During the month of October, this limited time offer gets even sweeter when kids will eat free at participating Ruby’s Diner locations when they come dressed in a Halloween Costume (purchase of one adult entrée required per eligible child). Participating locations may vary. Pumpkin Hot Cakes and Pumpkin Waffles only available until 11:30 a.m. daily. Pumpkin Shake available all day. Self Disclosure: I had the opportunity to visit a local Ruby’s Diner to check out the new Pumpkin inspired menu items. Image was provided. Easy Pumpkin Carving is a must this Halloween! The new book Easy Pumpkin Carving: Spooktacular Patterns, Tips & Ideas can help you make the best jack-o-lantern on the block. I received a copy of this book and love all the great ideas! Here they are, the very essentials of pumpkin carving! 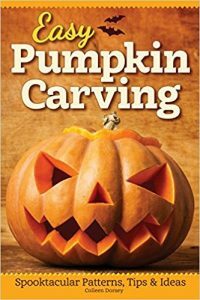 By following these steps that you probably had down pay when you were a kid, you can get carving with any traditional pumpkin carving pattern. You’ll need a little elbow grease and a tolerance for mess to use this technique, but it’s totally worth it. Prep the pumpkin first by rinsing it in cold water and using a scrub brush to remove dirt. If you want, you can spray the entire pumpkin with a mild bleach and water solution to kill mold and bacteria. Use a sturdy knife to slowly and carefully carve out and remove the lid of the pumpkin, going in at an angle rather than straight down in. Alternatively, you can cut a hole in the bottom of the pumpkin, which will mean you can sit your pumpkin on top of a light rather than placing a light inside the pumpkin. Use a scoop to completely empty the inside of the pumpkin of flesh and seeds. Keep scraping away at the inner walls of the pumpkin until you only have about a 1” (2.5cm) thick pumpkin wall that is nice and smooth. Transfer the pattern using your desired method. Check out Easy Pumpkin Carving for tons of patterns to choose from. Saw steadily with a continuous up and down motion, and don’t press too hard or try to go too fast. When you’re finished cutting out a standalone piece (like an eye), pop it out of the pumpkin wall with your finger, not your carving tool. To cut clean, sharp corners, remove and reinsert the carving tool. Carve starting from the inside of the design and working your way outward. Resist the urge to put your free hand inside the pumpkin while carving. Only do so if you can clearly see where all of your hand is. If you accidentally break off a part of your carving as you work, such as a protruding tooth, stick it back on with a toothpick! Keep your carved pumpkin cool and out of the direct sunlight (you can even put it in the fridge). You can also coat the interior and all cut edges with petroleum jelly to help lock in the pumpkin’s natural moisture, or purchase special preservative sprays for pumpkins. Colleen Dorsey is a writer specializing in the craft and hobby industry, and an editor at Design Originals and Fox Chapel Publishing. Colleen has edited books on many topics, including foam and paper crafts, jewelry making, and children’s crafts. She graduated from Johns Hopkins University with a degree in creative writing, and in her spare time she enjoys writing fiction, making jewelry, and upcycling findings into crafty new items. Self Disclosure: A copy of the book, image and article were provided for this featured book. The Irvine Ranch Natural Landmarks stretch across Orange County’s expansive open space preserves, and Irvine Ranch Conservancy partners with OC Parks, the City of Irvine, and the City of Newport Beach to offer a variety of fitness programs that span the mountains to the sea. Most of the programs on the Landmarks are free and open to the public with required preregistration, and welcome the community to enjoy fresh air and exercise on the local lands. The Irvine Ranch Natural Landmarks are comprised of over 40,000 acres of protected open spaces and home to geological wonders, diverse flora and fauna, and rare or threatened species. Scientists identified the Landmarks as a biodiversity hotspot, where large concentrations of different species cohabitate including mule deer, scrub jays, coast horned lizards and more, along with rare plant life including the Tecate Cypress. Fitness programs on the Irvine Ranch Natural Landmarks are tailored to a wide variety of interests and skill levels and led by trained volunteers. 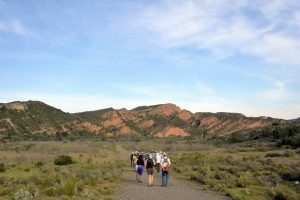 Whether visitors choose a relaxing combination of hiking and yoga or take on an 8-mile cardio hike in Limestone Canyon, Irvine Ranch Conservancy and their partners welcome nature lovers to enjoy a variety of fitness programs. From OC Parks’ Weir Canyon to the City of Irvine’s Quail Hill preserve to the City of Newport Beach’s Buck Gully and beyond, the Irvine Ranch Natural Landmarks offer fresh air and exercise in a coveted natural setting. Click the programs below to register for a fitness program on the Irvine Ranch Natural Landmarks. Tuesday Morning Fitness Hikes on Paved Hicks Haul Roadare reoccurring treks that allow hikers to choose from a 3, 6, or 8-mile route through OC Parks’ Limestone Canyon Nature Preserve. After Work Fitness Hikes on Paved Hicks Haul Roadoffer nature lovers a chance to connect with the lands on Mondays and Wednesdays throughout the year. Enjoy fresh air and exercise during a 3.5-mile trek to Loma Ridge and back down. Orchard Hills Evening Hikesencourages visitors to enjoy an evening on the Orchard Hills loop trail to gain a sweeping view of the scenic west, available Mondays and Wednesdays. This reoccurring hike continues throughout the year! Meditative Yoga and Meadow Walkskick off on Wednesday, October 4 in Bommer Canyon from 9:30 – 11 a.m. and continue Wednesdaymornings throughout the year. YIKING: Cardio Hike and Yogaon Sunday, October 15 from 7:30 a.m. to 10:30 p.m. invites visitors to raise their heart rate before connecting with nature in an instructor led yoga class held alongside the scenic West Loma Ridge. Tai Chi in the Canyonis a reoccurring program encouraging participants to begin their week with Tai Chi, an ancient Chinese exercise known for its low-impact movements with meditative qualities. Cardio Hikes to The Sinksoffer hikers an opportunity to visit the geological wonder, The Sinks, also known as Orange County’s mini-Grand Canyon. A variety of programs range from 8 – 14 in miles in distance, and offer views of coastal sage scrub, grasslands, and oak woodlands. Wilderness Access Daysat Limestone Canyon, Bommer Canyon, and Black Star Canyon invite visitors to explore these highly-protected lands which each offer several trails for beginner and experienced hikers, bikers, and equestrians. Enjoy fresh air and exercise on the Irvine Ranch Natural Landmarks. All activities are free with required pre-registration, which closes at 4 p.m. the day prior to each event. Some programs are suitable for children 12 and over, and children must be accompanied by a parent or adult guardian. For more details on fitness programs on the Irvine Ranch Natural Landmarks visit LetsGoOutside.org/activities.